If you live in the South Florida area do we have some amazing news for you. The ever amazing Richelle Mead is going on tour and guess what she will be stopping by our favorite indie book store! Richelle will be at at Books & Books on Sunday, November 15th at 1:00pm. The event will be held at their Coral Gables location. 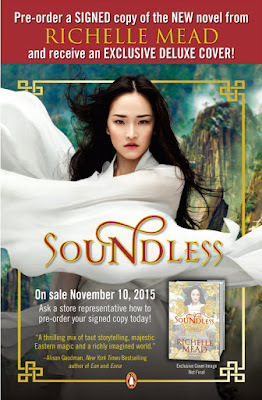 -Many bookstores have perks for buying Soundless from them, like going to the front of the signing line. Check back here or contact your store to find out any other details, such as line policies or tickets. Now to top everything off with an extra layer of awesome. Our local Geek Girl Brunch chapter has an amazing opportunity for you all. Who's ready to meet Richelle Mead?! We have had many conversations with Books & Books to make sure this event is smooth and fun for you lovely ladies. We are being set up to have a meet and greet with Richelle prior to the signing event that will be open to the public. GGB will have the opportunity to get together and enjoy a continental breakfast and mimosa for $20 each at Books&Books. 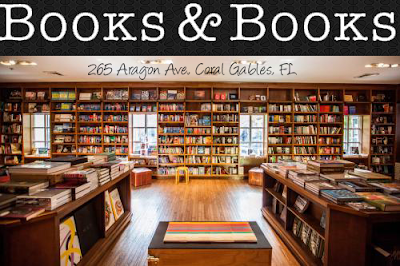 We will then be introduced to Richelle and be given a wrist band so when the signing begins, we can be first in line to get our books signed!The event will be capped at 50, being held at the Coral Gables Books & Books on Sunday, 11/15 at 11:00 am. If you live in South Florida and want to attend the brunch (Believe me, you do NOT want to miss out on this amazing brunch.) head on over to Geek Girl Brunch to sign up and become a member. If you have any additional questions on how to get into the brunch head on over to their Facebook and they'll sort everything out for you.